We are very excited to appear as the cover story in the 01/2017 issue of GHP Magazine (Global Health Pharma). 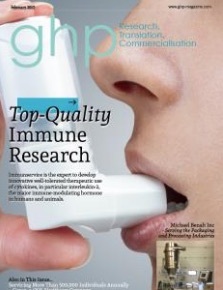 GHP Magazine specialises in three topics: the health of humans, animals and the environment. This is why Immunservice are even more be pleased to be featured in the magazine in an article presenting our work and our vision. The online edition of the magazine including the final article can be found here. And read here the questionnaire we completed for the editors that was used to generate the article. VICTRESS Awards have been presented annually since 2005 to outstanding women who as impressive role models prove that success, leadership and femininity are compatible. We are very pleased that Prof. Edith Huland – CEO of Immunservice GmbH – is one of the three finalists nominated for the VICTRESS SCIENCE Award 2016. Imagine a substance occurring naturally in our body – an immune hormone – that can cause immune cells to repel cancer, make it easier to overcome virus diseases, stop allergies, melt away excess pounds and much, much more. Edith Huland has been researching and developing this exciting field for years in Germany and abroad. Although she originally was not even supposed to receive her Abitur (academic high school diploma), she not only studied medicine but is a pediatrician, immunologist and cancer researcher. And when she was over 50 years old, she founded the Immunservice GmbH, where she works with a team of very ambitious women. She develops immune hormones based on biomimetic principles – in other words, inspired by nature – to formulate highly effective and well tolerated drug products. With “Pulmoleukin“ for the treatment of kidney cancer, whose marketing authorization is in preparation, she and her team are definitely on the right track. Edith Huland, the mother of two grown children, is married to the urologist Prof. Hartwig Huland and lives in Hamburg. We are happy to be able to present to you our new homepage. Our Internet presence in a new design is now more clearly structured and offers interested consumers, customers and partners comprehensive information about our company and products. Featured is on our Online Shop, where you can easily order our products. We welcome praise and criticism. https://immunservice.com/wp-content/uploads/news11.jpg 580 1000 Janine Koop https://immunservice.com/wp-content/uploads/immunservice.jpg Janine Koop2015-12-21 10:00:102016-01-25 21:08:44Our New Homepage Is Online! Immunservice has just finalized work to establish a Webshop offering specialty products primarily for use in functional diagnostics (cell proliferation, bioassay, interleukin-2 activity, etc.). An important benefit is that all products are developed even in a stress test and optimized in a labour-intensive process for special applications. Offered for cell culture of special cells are complete, ready-to-use media with long-term stability and formulated specifically for growth of interleukin-2 dependent cells. There is a special ready-to-use CTLL-2 medium in which these fastidious cells absolutely thrive. This proliferation can be visualized in colour and measured using WST modified specifically for CTLL-2 cells. “We offer thoroughly tested specialty products that scientists otherwise have to mix and test themselves in a time-consuming process. This is unique and saves researchers time and leaves more room for their actual research. And those wanting to completely outsource function and proliferation tests will find top quality support at our company,” commented Immunservice. Immunservice is currently very successfully developing an innovative immunostimulant for subsequent use in papillomavirus-induced tumours in humans and – through our partner company 4Animals Alsterscience – also in animals. Following a very positive interim analysis of immunological toxicology studies, today a nationwide study in Germany began in horses with so-called “sarcoids”, locally aggressive tumours that are triggered by papillomaviruses and very difficult to treat. “The results of immunological studies in horses done so far are very promising, not just for animals but also for humans, where the virus can trigger cervical cancer and very difficult to treat tumours in mucous membranes,” said Prof. Huland, CEO of Immunservice. Our offices are now conveniently located close to our laboratories in the immediate vicinity of the University Hospital Eppendorf. We’re saying goodbye to Neue Wall and looking forward to the new rooms at Christoph-Probst-Weg 4, 20251 Hamburg. Hubertus Wald and his wife Renate are among the most generous and important patrons in Hamburg. For many years now the Hubertus Wald Stiftung, which they endowed, has promoted and financed important work in the areas of medical research, culture, and social projects primarily in Hamburg. Through its investment in Immunservice GmbH, the Hubertus Wald Stiftung is combining two central foundation functions: the promotion of medical innovation and the long-term mission of increasing the foundation’s endowment. 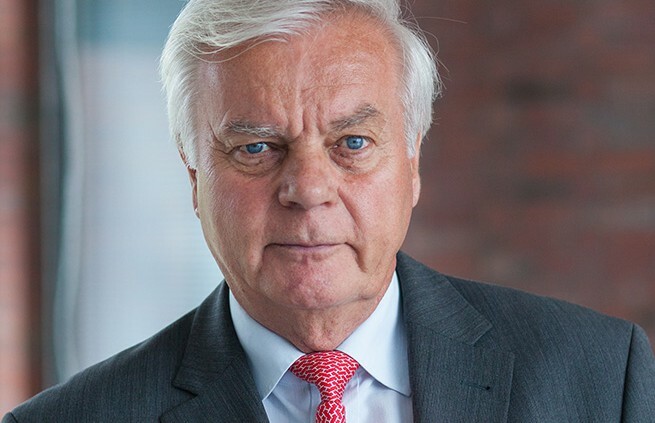 Helmut Ponath, CEO and Executive Spokesman for the Reederei NSB, is an experienced, extraordinarily successful Business Angel who is active in a variety of business fields with tremendous economic potential.